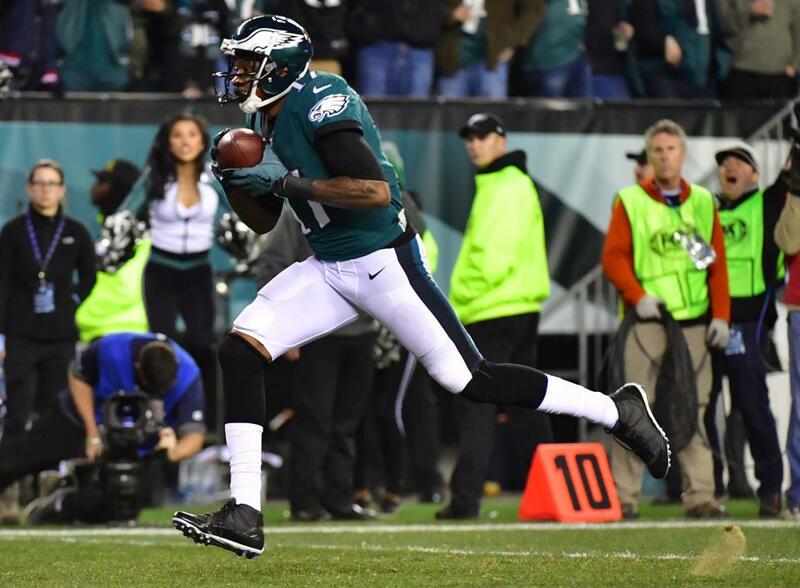 Philadelphia Eagles wide receiver Alshon Jeffery may not be returning to the lineup anytime soon. Jeffery sat out Philadelphia's season-opening win over the Atlanta Falcons on Thursday night and is expected to miss the Week 2 matchup against Tampa Bay while recovering from offseason shoulder surgery. However, Jeffery told Sports Illustrated on Thursday night that he could be sidelined for considerably longer, noting he still has "a couple more visits with the doctor" before he can be cleared to play. "Some days I feel great, and some days ... a shoulder injury is pretty tough," Jeffery told SI.com. When asked if he was still a few weeks from rejoining the lineup, Jeffery nodded. Jeffery was taken off the physically unable to perform list one day before Philadelphia trimmed its active roster to 53 players. He would have been required to sit out eight games if he was on the PUP list on cutdown day, leading to speculation that he was staring at a short-term absence. The Eagles' struggled overall and in the passing game in Thursday's 18-12 win over Atlanta. Quarterback Nick Foles finished 19 of 34 for 117 yards and an interception. Wide receiver Nelson Agholor had a team-high eight catches but they went for only 33 yards. Tight end Zach Ertz added five receptions for 48 yards. Jeffery was bothered by the shoulder injury last season, but still had 57 catches for 789 yards and nine touchdowns in the regular season. He added 12 receptions for 219 yards and three touchdowns in the Eagles' three postseason games en route to winning the Super Bowl. He had surgery to repair the shoulder problem the season, which was his first with the Eagles. For his career, the 28-year-old Jeffery has 361 receptions for 5,338 yards and 35 touchdowns in seven seasons. He was a Pro Bowl selection in 2013.